Those foolhardy Idahoans, they'll be the ones getting bounced around like so much Samsonite whilst wiser heads run away. 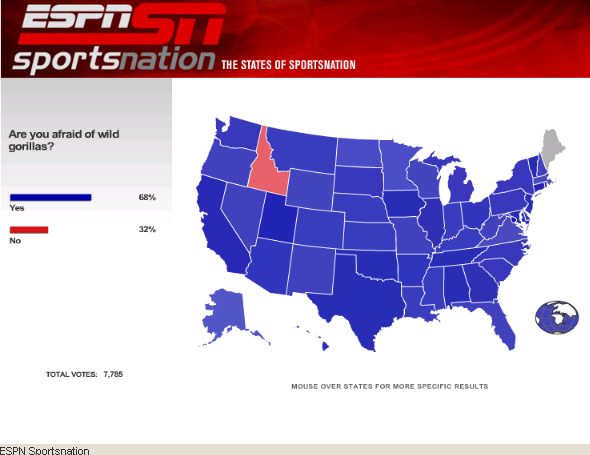 Also, Maine appears to be undecided. Don't just stand there with your jaw-dropped, Mainiac, leave the Idahoans to their richly deserved gorilla drubbing and run for the hills with rest of us!